Somewhere lost in the Gnatmarsh is an ancient half-sunken monastary. What diety was once worshipped here was forgotten long ago but now like the slithering mire around it the Sisterhood of Incabulos has claimed it for their. No place could be better suited for the worshipers of evil, disease and nightmare. The sisterhood is powerful and growing within the borders of Nyrond. Priestessess, Necromancers, Sorceressess, Paladins of Darkness and Assassins fill their ranks. They are ruled by the Wives of Incabulos, powerful leaders of each calling. Three sisters by birth, Korza the Priestess, Kiva the Necromancer and Rusalka the Sorceress lead the temple and monastary while Soriena the Paladiness and Marica the Assassin are active in the towns and cities of Nyrond. The three sisters have grown ambitious and have instigated a plague that is creeping from the swamp. Kiva has been drawing all who die to rise in undeath and come to the temple. 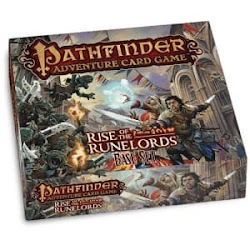 This has lead the Nyrondese to hire adventurers to search the Gnatmarsh while they combat the plague. There is no greater evil, nor more insidious an organization in the Viscounty of Verbobonc than the Cult. 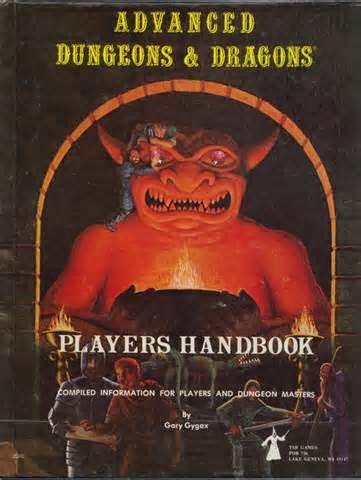 It is, of course, centered at the Temple of Elemental Evil, but its tendrels spread wide and have found no greater purchase than the city of Verbobonc. The Temple is the pulsing heart of the Cult, it is that which creates nightmares and like a Black Hole it draws even light into itself and leaves only darkness behind. The Temple is the soul of evil, the brain that directs all its parts, but the City is the strong right hand. No matter how man times the Temple is brought down and its forces scattered or destroyed it will grow strong again until its center has been cleansed and all its limbs withered and uprooted. So far the Heart of Evil at the Temple remains and its true infestation of the City has never been eliminated or fully discovered. The Cult of Elemental Evil has its hands in almost all crime and most business in the City of Verbobonc. Its members are not even aware of each other until it is necessary for them to draw on the strength of one another. Many involved with the Cult are unaware that they are dealing with anything except other criminals, some organized others singular or small gangs. The Cult has one or two members within every guild, every oranization such as the Verbobonc Guard, the Cavalry, the Militia, the Lancers, even the Viscount's Council. Members of the Cult tend to be entire families, and marriage between cultists is encouraged with children raised in the Cult. From villages to towns to cities the Cult has corrupted one or two households and carfully grows in strength encouraging the young to become leaders, to become skilled and influential. The Cult thinks in terms of decades for plans to come to fruition all the while that the Temple draws in the monstrous and the completely corrupted. The forces at the Temple tend to be impatient and strike too soon, while the Cult is part of plan that may take a century. 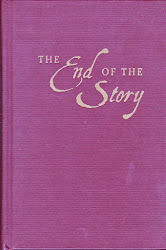 Members of the Cult come to light when they are called upon to immediately aid the forces of servants of the Temple, but will never all come out the shadows; always some will be hidden and silently work on the long, long plan of evil domintion and corruption that has allowed it to survive for decades. 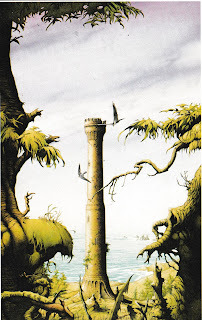 The land surrounding the tower is wild and overgrown. The ruins of several small buildings are close to the base of the tower, all roofless and some no more than two broken walls meeting at a corner. The water is nearby and what was once a collection of several small houses and the stubbs of beams which once supported a dock are all that can be found. There are nearby woods and the field around the tower which once must have been cleared is thick with weeds and small trees. Hunting or fishing for supplies should present no problems but any shelter outside of the tower must be constructed. It appears that the area surrounding the tower has been unoccupied for many years. The tower is constructed of grey stone that appears smooth but has a rough texture. It provides good tranction as a flooring and even if wet or coated with a slick substance grants firm footing. The doors and stairs in the tower appear to be of untarnished copper but show no signs of wear or verdigris. The base of the tower has a small set of stairs leading to a pair of large doors. These are shut and show no sign of lock. No normal or commonly magical means can open these doors (at least in my campaign). 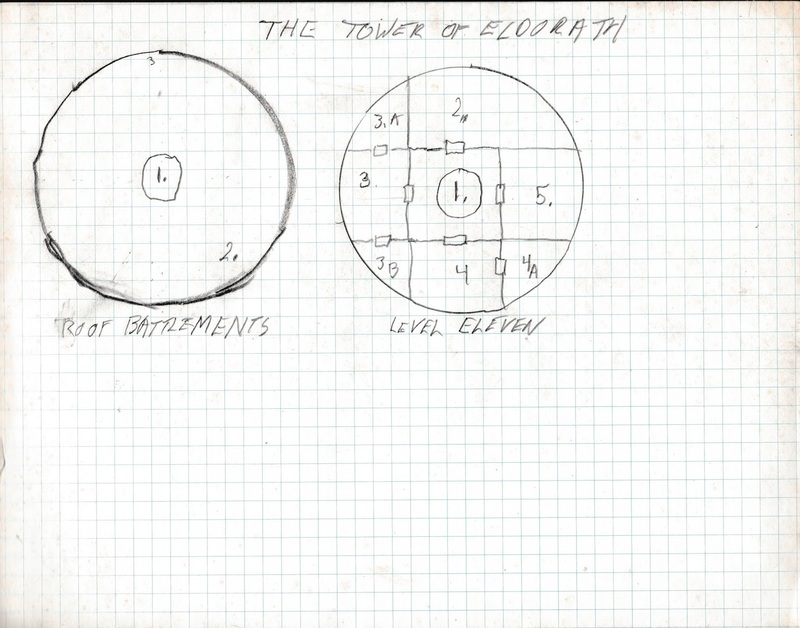 The players have been given a map of the interior levels of the tower though not of any dungeon levels, and an explanation of the odd system of locks that the tower possesses. The tower is 120ft tall and entrance is through the roof. The mage Talberth will provide 4 scrolls allowing levitation up or down for a weight matching the size of the party (up to 10) and a reasonable amount of supplies but the players may want to secure some means of at least descending the tower in an emergency, such as ropes and pulleys. The interior and even the roof of the tower prevents any shapechanging maic or abilities. It stops planar travel or contact, It stops any magic or abilities that allow sight or travel through its walls, doors or floors. 1. A great, apparently copper, valve is set into the floor of the roof. Near its southern edge is a lock in the shape of cat's head with four needle-like fangs. A person placing their living hand in the cat's mouth and compressing the mouth of the lock upon it so that the hinged mouth shuts will cause the four fangs to painfully bite down upon their hand. Releasing the head will let the jaws open and the fangs to withdraw. This will cause 1hp of damage which cannot be healed naturally or magically within 1/2mile of the tower. This wound will continually drip blood but causes no more damage. Once the lock is opened the valve will split into three sections and slide into the surrounding stone. The valve will remain open for 5 minutes unless triggered to close from the inside of the tower (a small figure of a cats head on the wall at the top of th spiral stairs. Press the head to open or close the valves. Any item short of a magical weapon or item will be sheared away by the slowly closing valves (It takes about 10 seconds for the vavles to close). Something caught in the vavles can easily be pulled free to allow them to shut. The open valve reveals a set of copper stairs that ends with another copper valve set in the 11th level floor of the tower. There is no light inside the stairwell and even natural light is dim and only reveals 10ft of space. If magical light is used it causes something to give a muffled howl and the darkness to only be illuminated in a 20ft radius. If detected for the stairwell radiates powerful energy fron the Negative Material Plane. 2. The tower appears unworn and undamaged excpet for this 30ft arc of merlons which are melted into lumps of greenish material. This material, like the undamaged portions of the tower, cannot be damaged further in any way available to the players. To those who have studied artifacts from the Sea of Dust the damage is exactly the same to some damage found on building stones found in that desolate locale. 3. The tower slants slightly down from the center. A dwarf might detect such a slant even if not searched for. The edges of the tower at the base of the circular wall have small gaps allowing for liquid to run off and down the sides of the tower. This level radiates energy from the Negative Material plane. Normal Light illuminate a 10ft radius, magical light a 20ft radius. Dispell Magic is of no effect. If magical light is used onb this floor it will cause a howl from room #2. 1. The central stairwell contains a section of circular stair leading to the roof. The floor is a similar copper valve as the roof cutting off further decent. There is a cat's head lock set on the edge of the floor valve but its jaw is shut and something is needed to open it (pressing the cat's head on the wall in room. The doors to this room are shut but may be opened in the fashion of the roof, each causing 1hp damage. They draw sideways into the wall when opened and will lock if allowed to close. Each time the door is locked it will require 1hp of blood and biting damage to open unless prevented from closing. Normal items will be sheared through by the slow but steady preasure of the copper door . Magical items will stop the door from closing. It Will require a strength total of 36 to force a partially closed door back open. The door will try to shut again after 5min. Opening the door to this room causes a cacophony of howling, growling and barking erupt from its darkened interior. For decades 12 Shadow Mastifs have been trapped inside. They will immediately attack anyone who opens the door and try to escsape the room. Their first action will be escape and they will flee as far as they are able only attacking anyone blocking their path. If they find themselves still trapped in the tower they will beging hunting down anyone or anything nearest to the. The interior of the room is a shambles. The Mastiffs have torn appart evrything inside to scrap. The only remaining objects are a series of silver-metal cages that have been broken open but not destroyed. This metal is silver imbued with moonlight and is quiet valueable. The bars are animical to creatures from the Negative Metarial Plane and can be used to cage such monsters. The metal can be reforged into weapons or armor that would be especially powerful against them. If they debris on the floor is sifted several wooden arms, legs or limbless bodies of dolls or puppets can be found. The rest is broken glass, bent metal bits and bits of wooden furniture. Any paper items have long since been destroyed beyond recognition. 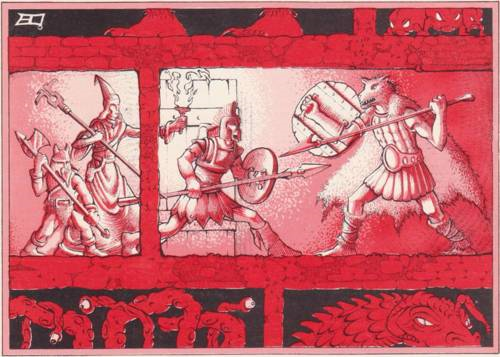 The adventure begins in the City of Greyhawk. For those looking for such work the word has gone out for adventurers who will brave dangers in return for some coin and what treasure they can find within the ancient abandoned tower of Eldorath. The mage Talberth is much respected within the city. He is said to have been (or perhaps still is) an agent of the city, the Circle of Eight, or the Grey College. He is a tall, thin man with a scarred face but a friendly manner. He has recently acquired knowledge and, at least within the society of mages in the city, ownership of an old tower. 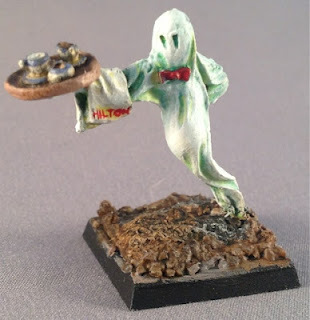 It is ancient and unoccupied for several years and Talberth offers an intriguing amount of gold and any items or treasure that may be recovered from the tower, (he just wants the tower), to any who will venture forth and empty the place of occupants from cellar to ceiling. Research into the tower will easily reveal its known history. It is located on a peninsula on the Wild Coast (97-F4 on the Darlene Map) overlooking Woolly Bay. It is elven-built from before human settlement of ther area by a powerful Elf-Mage named Eldorath who occupied it for centuries. It was found abandoned and no word of Eldorath has been heard since. It was a monster filled ruin when humans settled the area and the Flan avoided it for the most part with heroes occasionally venturing inside though none chose to occupy it for themselves. With the coming of the Suel the tower was occupied again, but here the stories about are scanty and if Eldorath's Curse (as it has been called) descended upon these Suel occupiers no records tell of it. 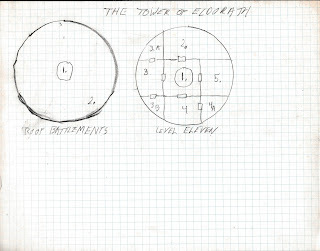 Eldorath's Curse is the sudden and complete disappearance of the tower's occupants. It has happened to those staying in the tower for as little as a month while others have stayed decades without any ill or surprising effects. No one has found out what causes the Curse to trigger or if there is even a curse at all. The tower itself radiates powerful magic at artifact intensity. It allows no form of tranportation through its walls or interior. It inhibits transformation either from abilities or spells. The stones cannot be damaged through physical or magical means, and the tower shows no wear or damage except for a section of merlons on the battlement of the roof which are strangely melted. The doors of the tower are also immune to damage and possess a strange lock. The front, ground level gates can only open from the inside are currently shut. The roof is the only form of entrance. No key is needed for the lock on the roof or on any of the doors within the tower but all doors can only be opened with blood. The lock is in the shape of mouth set with needle fangs. Someone must push their hand onto the fangs to unlock the door. This will cause the door to unlock and 1HP damage. The wound will not heal while within the tower and it will drip blood continuosly at a low pace. Each door in the tower has the same mechanism and the wounds are cummulative. Doors will lock if shut and will swing shut if not prevented from doing so. The tower is 120ft high and players must find a way to reach the roof to gain entrance. 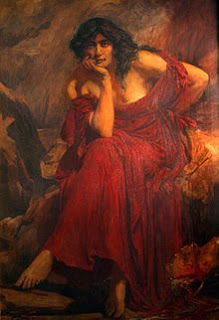 Reports have come to the Viscount Wilfirick of a beautiful young girl with strange eyes who can summon and control fire. 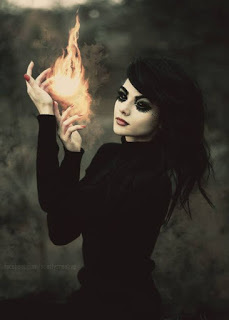 She is said to be able to conjure fire into her hands at will. To shape it into creatures that animate and attack, to cast it in stream or throw and expanding ball of flame. 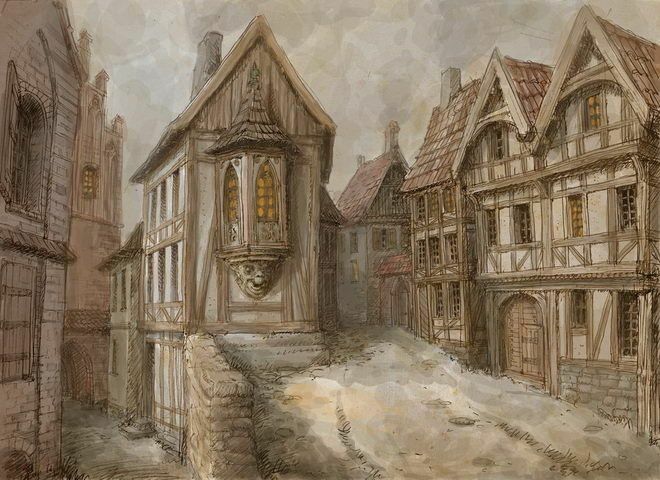 She has burnt several Inns and village shops and seems to taking a meandering route through the center of the viscounty toward the city of Verbobonc. Several people including guardsmen have tried to stop her only to be consumed by fire. Thrown or shot weapons have incinerated before touching her. The Viscount has offered a 5,000 gp for her dead and 10,000 for her safely captured. Verbobonc the city has the largest number of Cuthberites, a large following of those who worship Rao, especially among the Veluneese in the city, but it is still the Old Faith that dominates the beliefs of the common folk. Within the Viscounty nearly 4 in 5 of the populatiion still worship the Old Faith including many converts to Cuthbert who follow both paths. The Old Faith is hard to pin down as it has no pantheon of deities. 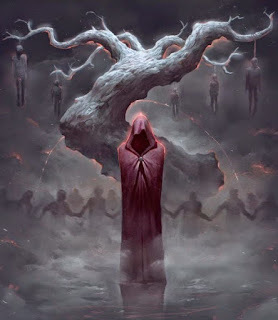 The spiritual leaders are druids and there is a hierachy within their ranks but for the most part each druid tends his own grove and flock without interference. There are 4 main ceremonies each year; First Day when the winter ends (Vernal Equinox), Long Day (Summer Solstice) marking the longest day of the year, Harvest (Autumnal Equinox), Long Night (Winter Solstice) marking the longest night of the year and the beging of winter. The druids gather during these ceremonies though those with flocks of followers conduct the ceremonies at their village or town groves and wandering and unattached druids join them. Even druids of more hermit-like dispositions attend these ceremonies and for some it is the only time when they will see another human or demi-human face. In the Viscounty the Old Faith is very humancentric. 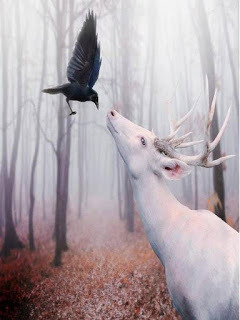 While the concern is for the balance of nature and a harmony with Oerth most druids see the integration of humans and demi-humans within this balance as their goal. The lay population of the viscounty follow many rituals and this can be seen in their daily lives. They do not eat or drink without thanking the water, the food, or the animals they kill. Butchering animals is an important ritual with an apology to the creature and a thanks to them for providing sustenance. Members of the Old Faith despise cruel behavior to people or animals and will step in to stop it, but they are also not seeking converts and have no animosty to other beliefs. The spread of Cuthbertism in the Viscounty is aided by this attitude. Druids who follow other paths are welcome in the viscounty and many visiting druids find themselves converted to the Old Faith over time. Far from her Baklunish home Sefa is not what she appears, a dancing girl at the Bakluni House in Verbobonc. She is a spy and an assassin, a skilled thief and an even more skilled seducer. But even those roles hide her true nature, a nature that only her grand-daughter Tolora is aware of. Sefa is that darkest of once human monsters, a vampire. Long ago she swore her life to the service of Baklunni and so she has sworn her undeath. 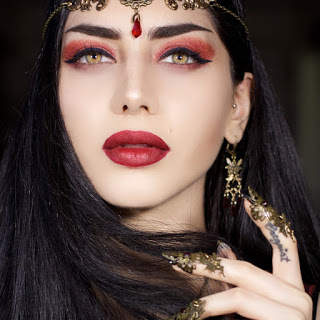 Unlike most vampires her dedication is entirely to the Baklunni deities and she is a kind of holy monster. She bears several ritual tattoos that grant her immunity from detection, damage from sunlight, cleric abilities to turn undead, or holy symbols. She cannot shapechange or assume gaseous form. Holy water does double damage to her and she must spend time in contact with blessed Baklunni soil once per month or begin to perish, aging and losing her strength each day unless she consumes the constitution of the living. Each time she bites someone she drains 1d6 points of constitution. 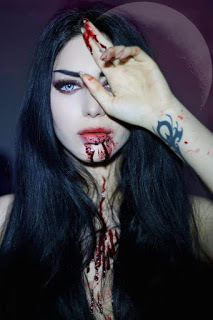 When she drains all of someones constitution they die and will rise as a normal vampire at the new moon. She can maintain her strength by consuming victims once a day but will survive only nine days without contact with blessed Baklunni soil or a victim a day. She will need to consume extra victims to regain strength loss for any days missed. The Green House is a mediumly expensive brothel near the southern wall of Verbobonc. It is run by a still attractive madame called Red who was once an expensive houri but managed to gain the favor of the Viscount and started her own business. Any objections by the owner of the Silk Feather, the most expensive house of ill-repute in the city and Red's former employer, were wisely never voiced. Verbobonc has, perhaps, a surprising number of brothels and prostitutes for so small a city, but the river and caravan trade which is making the city wealthy attracts them. The Viscount is also primarily a soldier and Verbobonc's history has always been one of a military outpost as well as a trade center. Red is rumored to be the Viscount's misstress though that is also wisely never mentioned in his hearing. The Green House is frequented by members of the Verbobonc Guard, and Red needs to employ no strongmen or bouncers. The Mercenaries Guild reccomends the Green House to anyone who inquires about such services. Red is a mid level thief, though she no longer pratices and allows no thieving in her establishment. She does gather information and will pass it along to the Viscount. She has recently become aware of rumors regarding worshippers of Zuggtmoty and those following the Cult of Elemental Evil. The Verbobonc Lancers number somewhere around 900 men and women. They are split into 4 companies of over two hundred in each, comanded by single captain who reports directly to the Viscount. Each captain is law unto himself able to dispense high and low justice to any but the nobility of the viscounty. Pictured is a typical Lancer sans lance, though with the bow that most carry. They ride light warhorses, dress in green and red with a grey cloak that they can act as a cover at night. 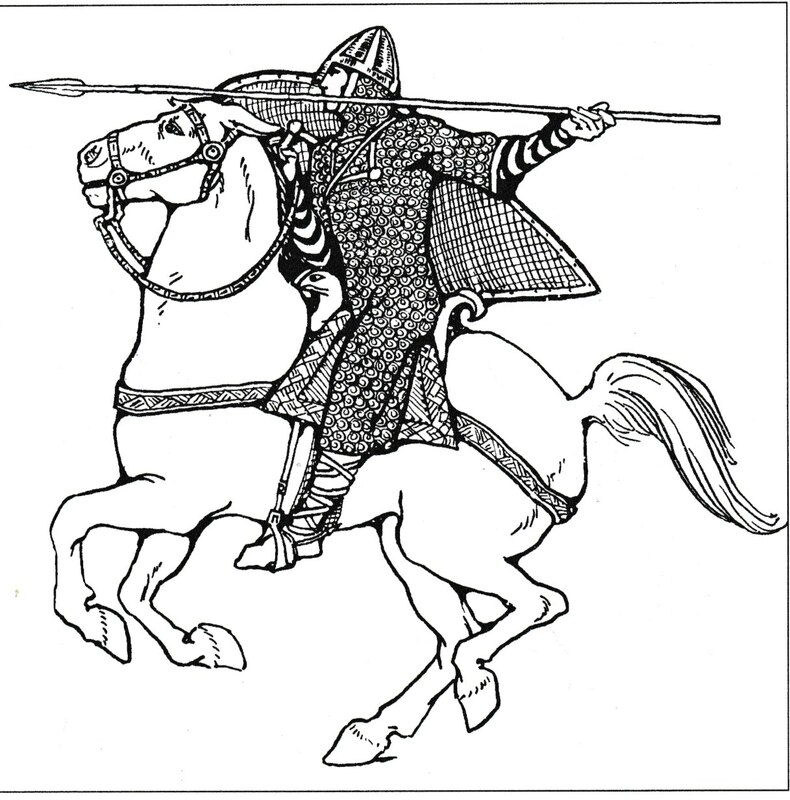 A large quiver of one hundred arrows is hung from one side of their saddles and a sheathed longsword from the other. 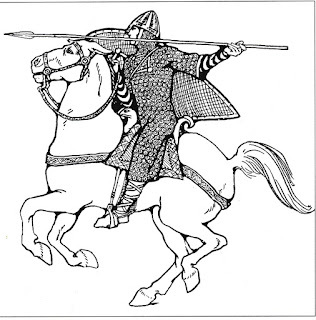 A steel cap is on their head and studded leather armor on their backs. The Viscount provides all this to each trooper while officers provide their own gear and the wealthier among them provide their command with any extras they can afford. Each Lancer is an experienced warrior with a smattering of rangers among their ranks. Druids, clerics and magic-users can be found as officers or auxiliaries in each company and at the minimum every company has a cleric, usually of Rao, and a druid of the Old Faith in their garrison. There are 4 fortifications which the companies of Lancers maintain with somewhere between 50 to 100 Lancers always in garrison. While villages and small towns are near no civilians are allowed to dwell closer than a few miles and each fortification is self-sufficient. All Lancers must prove their combat ability and horsemanship before entering the ranks. Each officer is someone of extraordinary ability. While some are rich and of the nobility many are not having risen through the ranks in service of the Viscounty. Ability is the key requirement for any officer or enlisted to become a Lancer. The Viscount has seen the Lancers double in size during his reign and his own bodyguard are chosen from their ranks. Lancers are rarely seen in the city though many originate from city inhabitents. 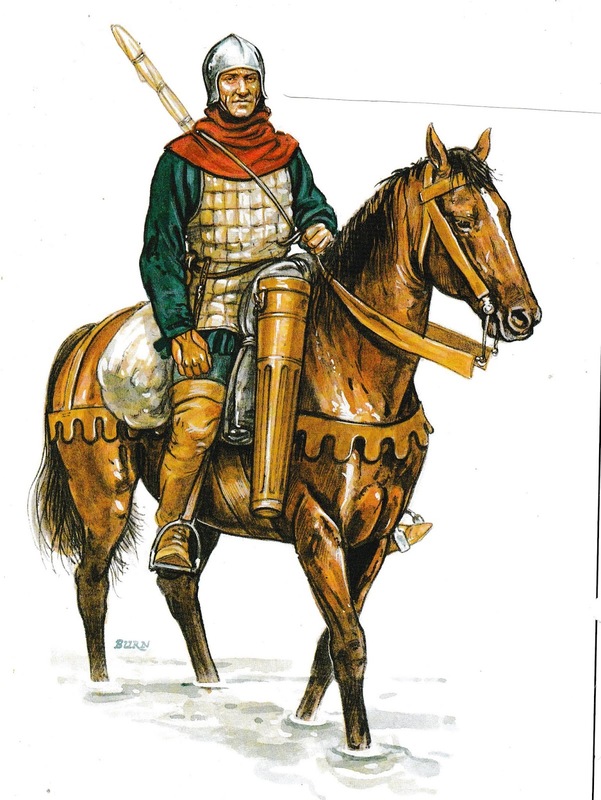 The Verbobonc Cavalry is stationed permenatly in the city and they provide both a quick military force and guardsmen for important caravans within the borders. Most Lancers begin their service as members of the Verbobnc Cavalry. The wives and children of most Lancers dwell in their fortified garrisons. All labor within a garrison is done by Lancers or their family, from cook to carpenter. Each company has its own pennant and the deeds of each company are recited on holy days and at celebrations. While visitors often come to the garrisons most never get beyond the outer gates and vistors audience hall. Holding pens for prisoners are in dungeons beneath these areas while the inner and stronger fortifications are for the homes, stables and barracks of the garrison and few strangers ever enter these areas. Verbobonc Lancers are highly respected throughout the Viscounty and in the outlying areas as well, such as Celene, the Kron Hills and even as far as the City of Greyhawk itself. Aerial servants can be found across Oerth, since, as summoned creatures they will appear wherever a caster has sufficient knowledge and power to bring them forth. Their home is the Elemental Plane of Air but it is said they were commonplace in Suel households at the height the Imperium. 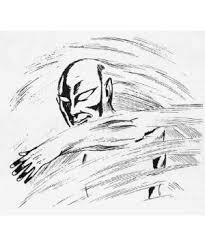 The Sea of Dust is said to be haunted by wild and dangerously insane Aerial Servants though those who live on the fringe of that ancient and accursed land call them Dust Devils. They can be found in any large city especially in temples and colleges of wizardry. 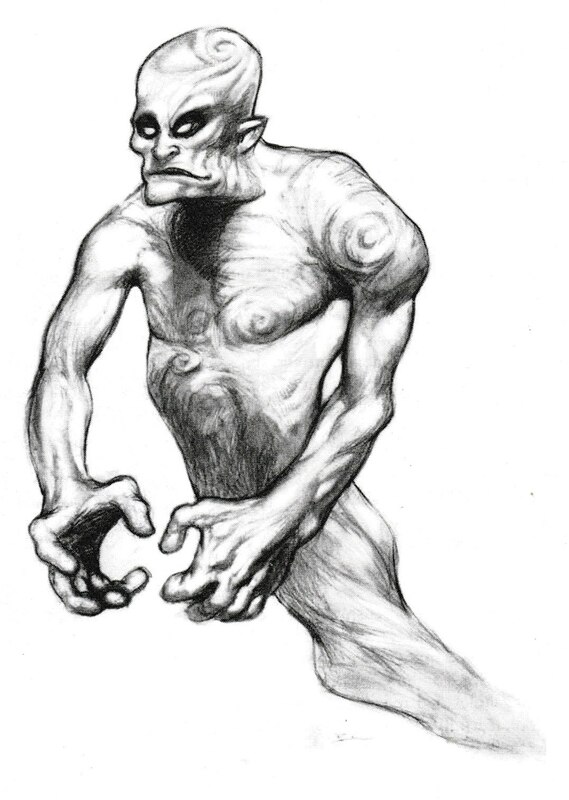 They are also commonly encountered in the dwellings of hermit mages and small forgotten ruins where they have never been dismissed back to their own plane of existence. Aelfrick is young for such a responsible command as the Verbobonc Lancers are the best troops of Verbobonc. His is a distant relation of the Viscount but that has not earned him any undue respect or authority. In his youth Aelfrick's family was killed and their manor sacked by an invading band of brigands from thwe Pomarj. Aelfrick helped to track them down and annihiate them in their stronghold deep in the peninsula. Since that time he has lead a life of combat and adventure and is an experienced and cunning warrior. With his acquired treasure he rebuilt his family's estate and joined joined the Verbobonc Guard as a noble officer. His ability saw him to leadership within the guard and more recently a command within the Lancers. The life of Verbobonc Lancer is not comfortable, safe or easy. They patrol the borders of the Viscounty, often pursuing enemies of Verbobonc far afield. They are found more often riding an endless circuit of the villages and towns than the city and sleep in the saddle or on the cold ground with a thick horse blanket for bedding than beneath a roof and in a real bed. Aelfrick thrives in the Lancers and his troopers would follow him anywhere. Aelfrick has acquired several items of magic in his adventures but none so powerful as his Spear of Heartseeking. On a natural d20 the spear has a chance of instantly killing a foe. This chance 25% + 5% for every experience level the wielder is greater than the foe (or equivalent HD). The Spear will return to the wielders hand 2 combat rounds after it is thrown regardless of whether it kills its target or not. A unremarkable appearing brass ring must be worn by the wielder of the Spear for its enchantments to work. The Suel Imperium was vastly powerful. Today the greatest wizards and wielders of magic are pale shadows of that distant past. Though the Imperium is long gone still many items and a few places remain. The Sea of Dust, what was once the heartland of the Imperium, holds many secrets, many items which have been lost for millenia. 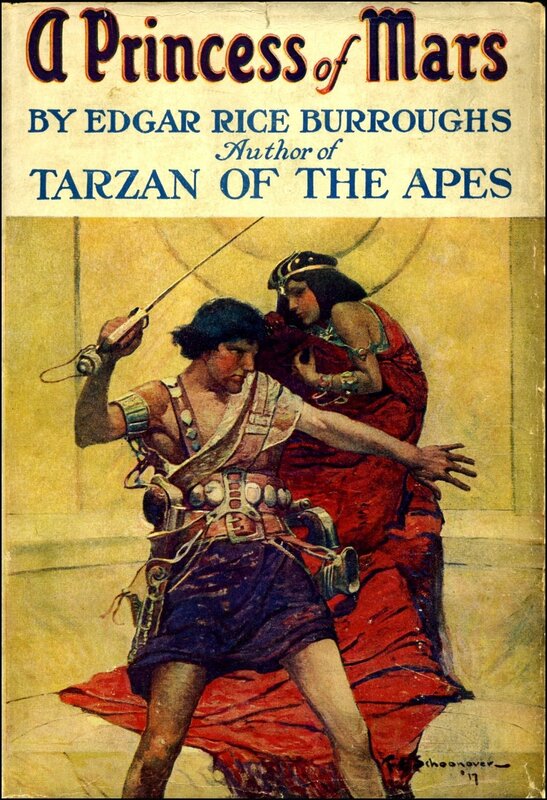 Sometime expeditions manage to return from the Sea of Dust and one such brought back many treasures. The Cube of Light and dark is one such. It was taken to the Grey College in the City of Greyhawk to be studied and from there, it and many other items, were stolen. The Cube of Light and Dark is a black square stone about the size of half a loaf of bread. It cannot be touched by hand as a force keeps anyone about half a foot away from the sides. If the stone is caught between two hands it will begin to spin and cracks of white light will appear. From these cracks a white smoke and a black cloud will appear and swirl around the wielder as if it was a cloak or cloth being whipped by a stormwind. The wielder gains a strong protection from magic and divine power. They have the ability to cast both light and darkness spells. They can open a portal to the Plane of Shadows and summon creatures to serve them from the plane. They can banish such creatures that they encounter with the power from the white smoke. Wielding the cube takes a toll one the user and they will suffer a loss of hit points and strength. The cube can be used 1 hour for each point of constitution the character possess but if they wield it below 10 points of constitution they must roll a d6 and on a natural 1 or a roll higer than their consatitution they are drawn into the Plane of Shadows. 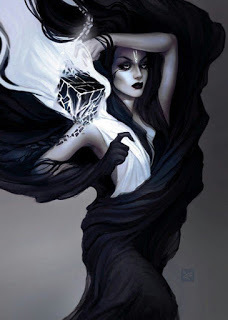 Once a character wields the cube half their hair will turn a ghostly white. Set near the west wall of Verbobonc Bakluni House is part tavern and part embassy for all interests of the people of the west, though mainly Bakluni. It is only a small building (pictured in center) run by a Baklunish merchant named Aqa Zarif. While he handles trade his bodyguard, Zeev, is a Baklunish spy. Both work for another merchant/spymaster Korath the Bald who runs the Baklunish interests in the City of Greyhawk. Two of the House's dancing girls are actually trained assassins. The druidess Inkeri is a northern woman from the land the Snow Barbarians but she wanders the lands of the Viscounty of Verbobonc and neighboring Celene. As a druidess of the Old Faith she is welcome across the land though less so in the City of Verbobonc than in the countryside. Her companion is an owl and with it she can see and hear all that it can see and hear. While she is hardly defenseless in her own self the animals of the wild will protect her with their lives. She has been seen in company with the Ragged King, a bandit/beggar who wanders the viscounty and surrounding lands demanding donations from any wealthy man or women he encounters. Jaroo Ashstaff, the druid of Hommlet, has welcomed her to his grove, the gnomes of the Kron Hills will doff their caps when she passes and she is welcome among the elves of Celene. Recently she has been seen near the abandoned tower of Eldorath and even further south in the Pomarj and wild lands. Wilfrick is an aging by vigorous warrior. He has seen the viscounty through two risings of the Temple of Elemental Evil and the fortunes of the viscounty seem to be on the rise. 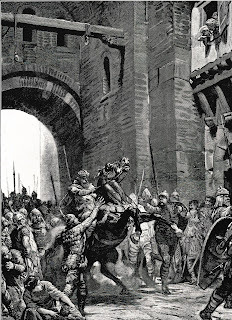 He is pictured here returning from a patrol with a large force of Verbobonc Lancers. 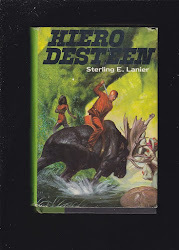 He rides a fiery warhorse named Terror that only he can handle. Wilfrick's only daughter Helena is soon to be married to prince Thrommel of Veluna and the viscount will be naming an heir to the viscounty soon from among his nephews and nieces. The Rhennee are well respected among the dockworkers and river merchants of Verbobonc. Their barges are continualy coming and going up and down the river and their goods and coins are welcome as well as the contraband they smuggle and fence with the criminal merchants of the city. 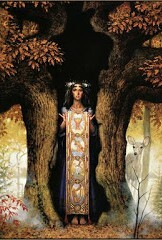 One of the most respected of the Rhennee is Magda the Diviner. Her barge is perhaps the most often found tied to the docks of Verbobonc and her spells, potions and predictions are sought after by rich and poor, mercenaries and sailors, adventurers and even the Viscount himself. Magda is a Rhennee woman in her mid-thirties. A user of magic skilled in divination. 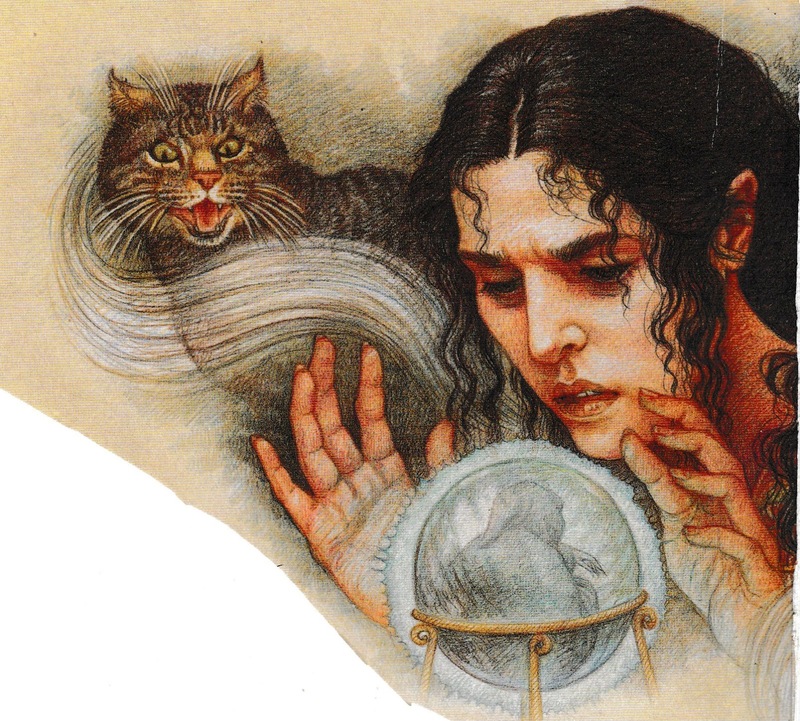 With her cat familiar, Pyotyr, beside her she has read the fortunes of hundreds of the town's citizens and and hundreds of other visitors to Verbobonc. She is also a young clan leader of the Rhennee and the boss of the Rhennee smugglers who ply the river. Before the Suel or the Flan there were the elves. The Celene of today is a small facet of what was once a priceless gem in the crown of the elven empire of the Flannaess. Eldorath's tower sits on what is the northern edge of the Pomarj but was then Celene. Eldorath was a powerful elven mage. 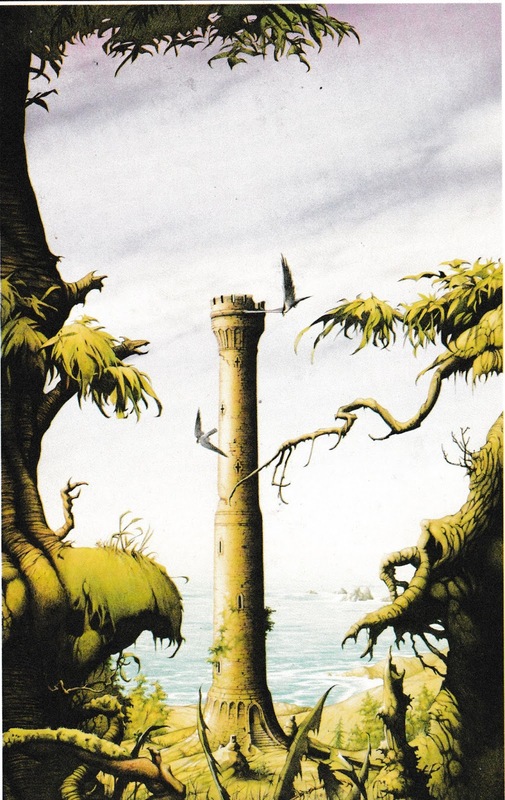 How or if he died is not known but his tower was found abandoned as if all its inhabitants had simply walked away. In the centuries since that time the tower has been looted, reinhabited and abandoned many times. There is a great power to be found and the old stones but its strange curse has kept the tower empty for many years. Now it is in the possession of the mage Talberth and he offers gold and magical rewards for any who will brave the tower, clear it of whatever guards, wards or monstrous inhabitants might occupy its rooms from deepest cellar to its broken battlements. 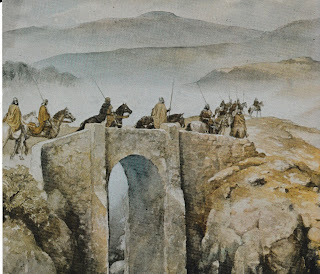 A patrol of Verbobonc Lancers crossing a gnome built bridge into the Kron Hills. These patrols have become much less frequent as the gnomes have begun patrolling and setting guard outposts. This is one of the many small bridges that crosses the deep ravines within the hills. Many now have a small stone tower built nearby. The gnome patrols are on small ponies and do not go beyond the hills while the Verbobonc Lancers are all human mounted on light warhorses. They keep shortbows cased on their saddles and are armored in studded leather with steel caps with lonswords sheathed on their saddles. Officers tend to be veteran warriors armored in chain or plate with weapons of their own preference. They average between twenty and thirty men per patrol. One of the largests public taverns in Verbobonc the Wayward in is older than the city and its foundation stones are older than the castle. In the distant past the first building of stone on the spot was a storage house where grain was kept for a small settlement of Flannish farmers. 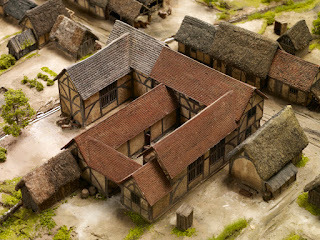 A wooden pallisade surrounded the town and stone buildings were easily constructed from the rise where the castle would eventualy be constructed. When the Suel drove the Flan from the area a fortified waystation was built on the spot and when the castle was built the waystation became an Inn. Original called the Waystation Inn the name changed over the years and its original name and use is long forgotten. Today the Inn and several nearby buildings are owned by the Shirewood family. 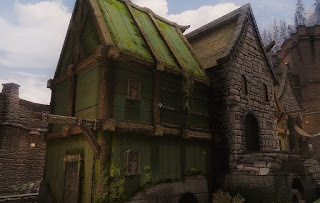 The family also owns a small manor near ther castle and the eastern riverwall where the elder Shirewoods retire when their working days are past and the eldest son or daughter takes over the running on the Inn. Adelaide Shirewood runs the Inn from her apartment on the 2nd floor. Her husband is a fair smith and runs the stables and the yard. Their three daughters help to run the Inn with the help of the extended family. The Shirewoods employ a small group of a dozen toughs to keep order in the Inn. The leader is a experienced warrior who sometimes acts as a local guide and sometimes takes on adventures of his own. He is registered with the local Mercenaries Guild and will be recommended by them as a guide or henchman. These toughs live in the house immediately across the street from the Inn. Unbeknowest to any but the Shirewood family there is a secret tunnel beneath the Inn that leads beyond the city walls to the north and another east that opens up near the river. The Shirewoods are heavily involved with Cult of Elemental Evil and run a counterfitting operation. False gold and debased coinage flows from the Inn and out to ships on the river or to couriers operating north of the city. They have no link to other members of the Elemental Evil cult and their contacts are from beyond Verbobonc.